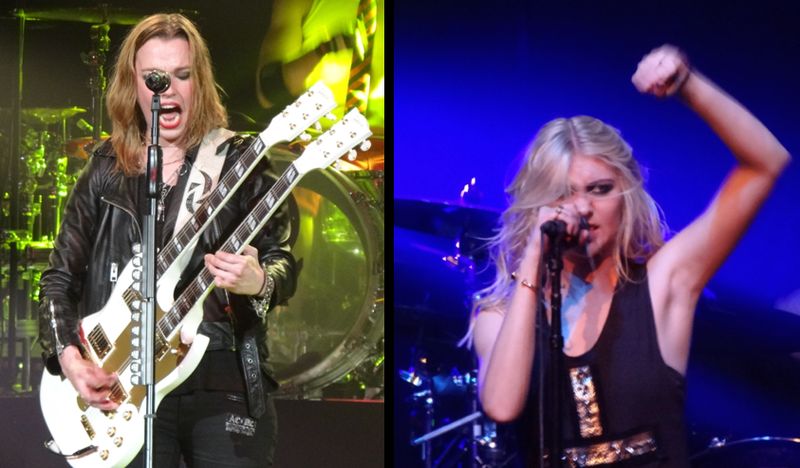 Halestorm & The Pretty Reckless rock the Ryman! 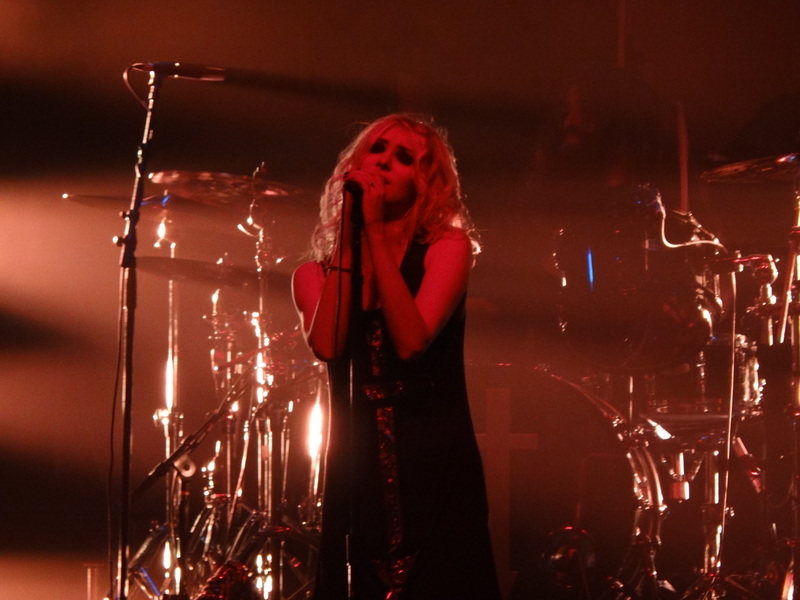 …I got to see Halestorm and The Pretty Reckless at the Ryman! Any and all shows at the Ryman are legend and what I mean by that is that you’re going to remember the show for the rest of your life! The acoustic, the church pews, the intimate room, Nashville…need I say more?! Just two rock bands with three guys and one gal! What a funny coincidence that is! So at first we had a band to warm up the crowd and they went by the name of Starset. I’ll admit that it was a little jarring to see a 30 minute set at a rock show from 4 guys and the lead singer stood behind a huge soundboard like a DJ for most of their set (not to mention they were wearing clear shields over their faces to imitate astronauts) but you know…let’s just say it wasn’t my cup of tea. I would compare them to Linkin Park for a sound/dynamic that is quite similar but they have a long way to make it in the same ballpark as Linkin. Good luck guys, but keep on rocking! 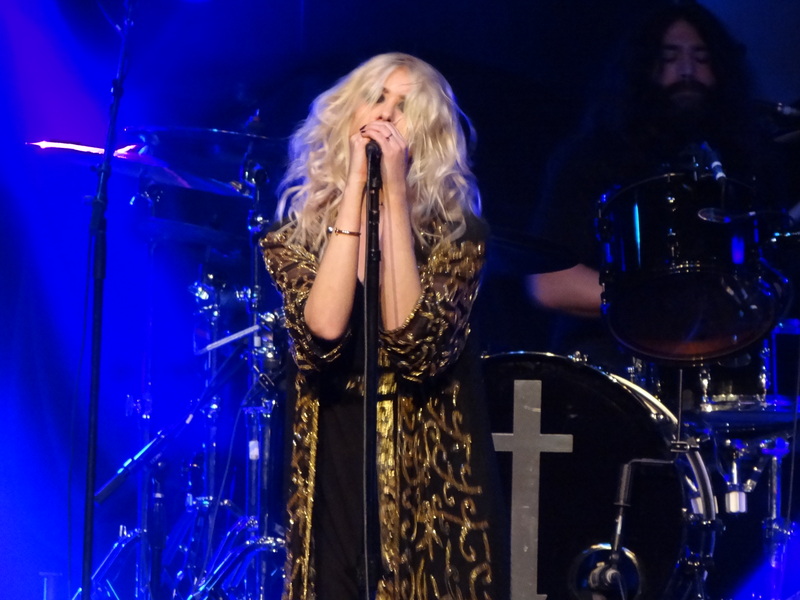 Taylor Momsen, the lead singer of the band is what I would consider to be an extremely talented singer and an extremely talented person as well! 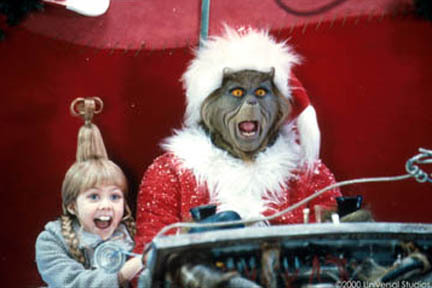 …in the year 2000 movie How the Grinch Stole Christmas opposite Jim Carrey! Then there was a rejection for the role of Disney Channel’s Hannah Montana which obviously went to Miley Cyrus, but then Taylor acted in The CW’s famous series Gossip Girl when she played Jenny Humphrey from 2007-2012! So yeah she’s an actress too which is quite spectacular if you ask me and makes her an official double threat! I thought their 45 minute set was incredible last night! An 8 song electrifying show that included “Follow Me Down”, “Since You’re Gone”, “Sweet Things”, “Miss Nothing”, “Make Me Wanna Die”, and “Heaven Knows”. Taylor Momsen’s voice was just as mature as I remember and it’s remarkable to me that a voice with so much depth and tonal color is coming from a 21 year old young woman! This is such an incredible shot! 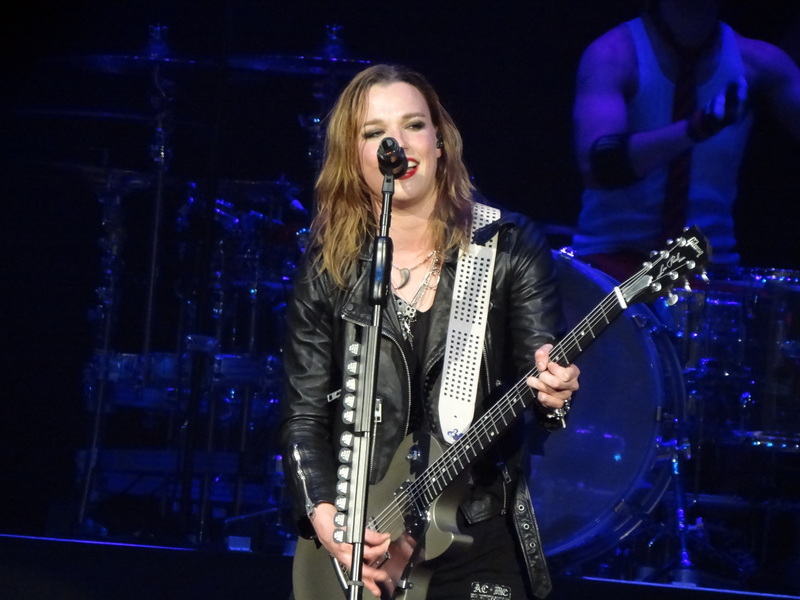 Next up at 9:30 sharp was Halestorm! 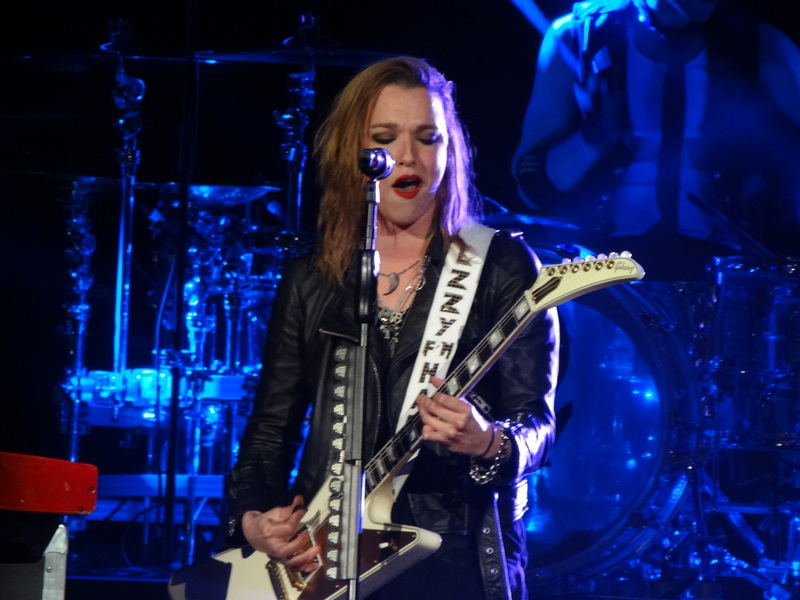 I was really excited to see them too since I love rock n roll and I’ve known/heard such great things about their lead singer Lzzy Hale (Yes, no “i” as a stylistic preference) and one of those great things is that she has recently moved to Nashville! I had to laugh because as “off-color” as that comment was, I just thought you know…it’s rock n roll and she just said a phrase I’ll never be able to forget was said from the Ryman AKA the mother church’s stage for the rest of my life! HAHA Case closed! She certainly got my attention! 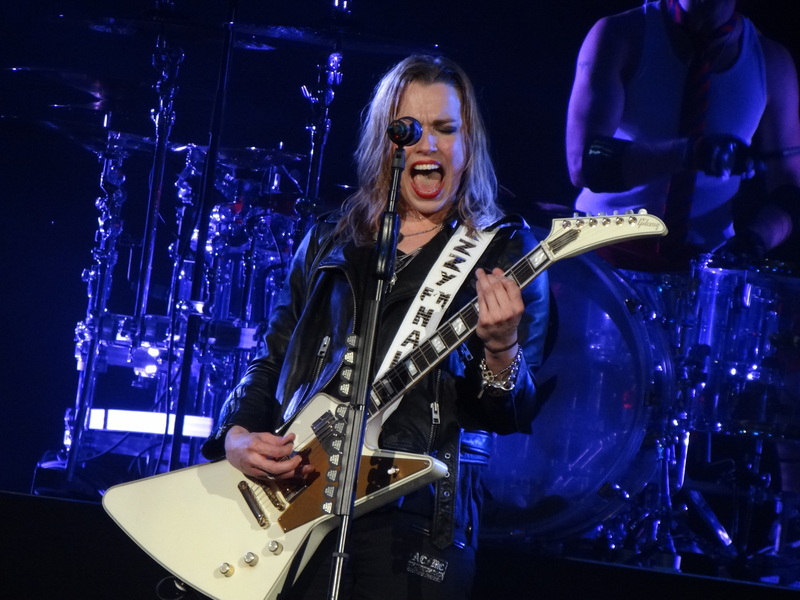 In the beginning, Lzzy spoke a few times to the crowd about how they’ve been to shows at the Ryman as a band when they were just dreaming about making it and how incredible it is to have made it. I thought it was very endearing for her to say that and I haven’t heard a band exclaim their graciousness for the journey to where they are now in quite some time! Some incredible performances including fan favorites like “Freak Like Me” and then there was this song that I would consider to be my absolute favorite Halestorm song just by hearing it as compared to all their other songs. I’m not sure of the title, but I know she just kept singing “All for you” over and over again. Somebody leave a comment! HAHA I need to know that gem of a song!!! They played an incredible show with a great encore and their drummer was amazing! 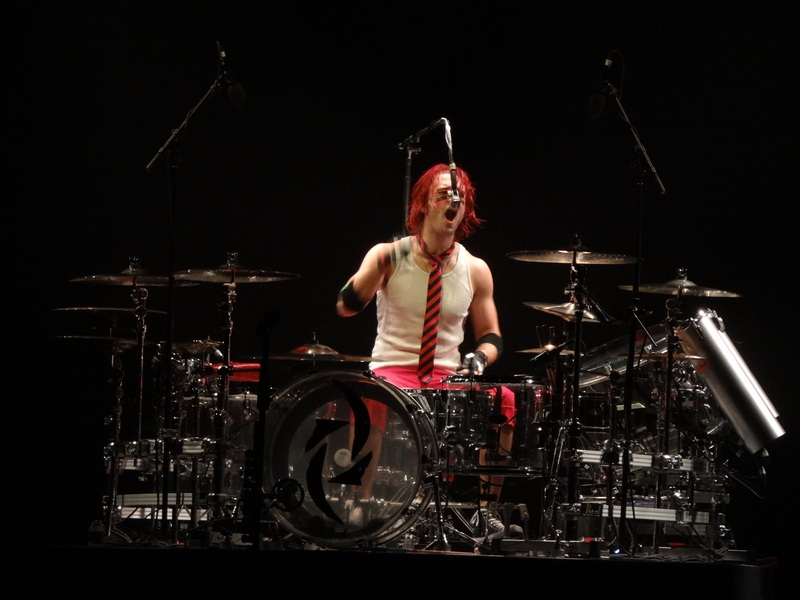 He would jump off his seat and play the drums at the same time! HAHA Incredible! 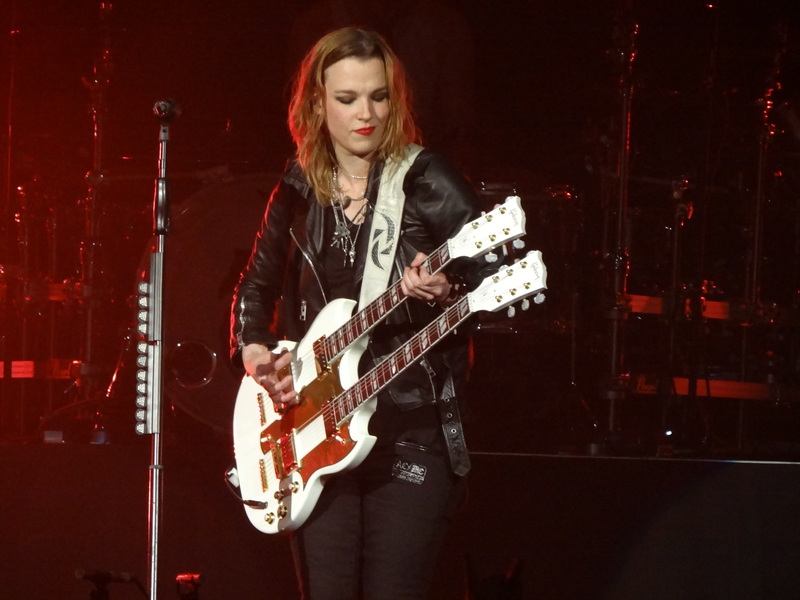 Lzzy’s voice was powerful and I have no idea how she could maintain singing as much as she screamed! What a powerful instrument! 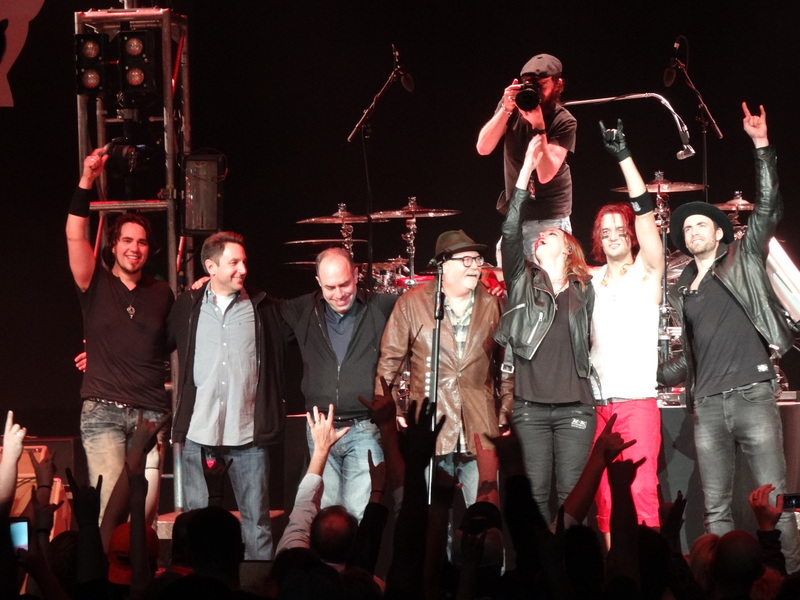 And at the very end, Lzzy called their Atlantic Records label team to the stage who had been with them for the entire 10 year ride! 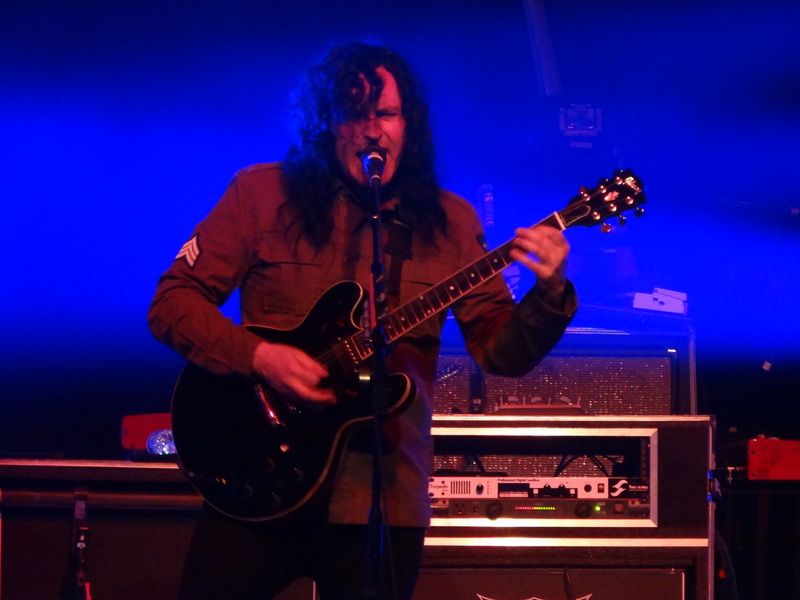 Check out my best photos from the show below and long live rock n roll, y’all! Thanks Halestorm for rocking out and for bringing The Pretty Reckless with you! Music Messenger makes it simple to send songs! How lucky audience’s are to catch this show. Both bands Halestorm and Pretty Reckless are at their peak right now. There’s some other tour called Hottest Chicks In Hard Rock, that’s title really belongs to THIS tour. HAHA I agree, man! It was an amazing show!